I’ve talked about science in every format from documentary to stand-up comedy. If you want me to talk for you, head over to my talks page to find out what I’m talking about at the moment or, if you want a general overview of my presenting, check out my showreel. 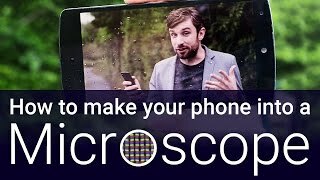 How to make your phone into a microscope, from Lab, Camera, Action! On telly, I’m a regular expert on documentary series Impossible Engineering , which looks at how the innovators of the past have enabled the technological marvels in the modern world. I’ve also been on The One Show , BBC and Sky News, and the brilliantly entitled Through the Wormhole with Morgan Freeman , and talked on BBC Radio 4, and the BBC World Service. Online, I run a YouTube channel, which I write, present and co-produce. Across YouTube, my videos have racked up over a quarter of a million views, and the Transit of Venus video was picked as one of the Guardian 10 science videos of 2012. I’m also a very experienced live presenter, talking to secondary students, teachers and the general public in venues from lecture theatres to actual theatres. I’ve spoken in dozens of schools, at science festivals like Cheltenham and New Scientist Live, and done stand-up in the Hammersmith Apollo. 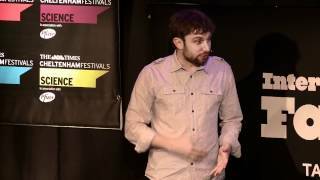 In 2012, I won FameLab UK with a three-minute talk about the quantum mechanics behind the colour of carrots, and went on to snag the Online Vote at the International Final. After my PhD, I received an EPSRC Doctoral Prize to continue my science communication, which allowed me to help develop two classroom-based workshops, Levitate! and Fantastic fields, and start Lab, Camera, Action! . I also received a grant to produce resources for Accelerate! , a live show about particle and accelerator physics, which includes a number of videos in which I explain how to perform various demos from the show.